At this time of year when kids are getting tired and cranky, who deserves to be appreciated more than teachers? We may be envious of those long holiday periods but in all honesty we know what a tough job it is. Let’s not forget the hours spent out of the classroom planning lessons, marking, directing performances and attending school events. So why not show your appreciation with a small gift? Most teachers would agree that there is not much better than seeing how much progress their students have made. Encouraging your child to make a card or write a letter describing why their teacher is awesome is sure to leave a lasting impression – and maybe a few tears. If you want to add a little something a gift card is always a safe bet. I’m yet to meet a teacher who doesn’t love stationery. Most teachers buy their own classroom resources and spend their hard-earned money on making sure their students have everything they need. So why not buy them something they can use – a journal, year planner, pens or desk organisers? A visit to kikki.K, Typo or Scratch & Jotter will leave you spoiled for choice. It’s out with apples and in with gourmet treats. Choose from Redzed’s range of artisan cookies and handmade chocolates to show your appreciation. Check out our adorable gingerbread santas and reindeer for a box of Christmas cuteness. For chocolate loving teachers choose our White Christmas and Super Freckles. 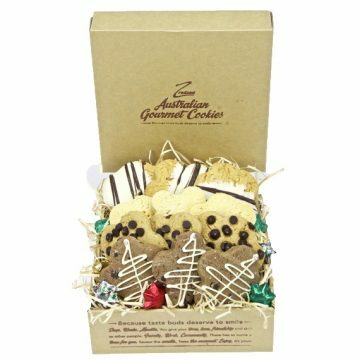 You can even create your own box of cookie favourites which will be sure to impress. Order now for delivery Australia-wide or if you are a local, drop in to our factory outlet on weekdays from 8am – 2pm and stay for a coffee while you wait for your order to be packed. Whatever you choose to do, let’s take a moment to make sure our teachers feel truly appreciated.